Nancy Kathryn Gott, 67 of Lusby, Maryland passed away on January 24, 2019 surrounded by family and friends. She was born November 14, 1951 in Marion, Ohio to Clarence and Doris Borg (Cottrell). Nancy was raised in Galion, Ohio and graduated from Galion High School. 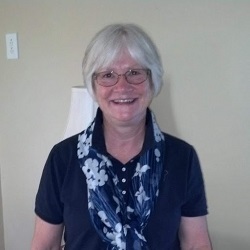 She joined the United States Army in 1970 and served for three years as a Medical Corpsman and Dental Specialist. Nancy married her husband Edgar Leslie Gott, Jr. on October 14, 1973. They made their home in Bartlett, Tennessee for 30 plus years where they raised their three children, Erik, Leslie, and Emily. Nancy enjoyed spending time with her grandchildren, reading, traveling, entertaining, and visiting with family and friends. She was a member of King’s Daughters and Sons, delivered for Meals on Wheels and was involved in many roles in the community and Bartlett United Methodist Church. Upon her husband’s retirement Nancy and Ed moved to Lusby, MD in 2008 where she enjoyed visits from her children and grandchildren. Family was everything to her and loved to entertain and host gatherings for friends and loved ones. She continued to be a part of her church community as member of Solomons United Methodist Church. Nancy is survived by her husband, Ed of Lusby, Maryland; son Erik (Amber) of Bartlett, Tennessee; daughter Leslie (Shaun Spaid) of Oviedo, Florida, grandchildren, Tyler, Fisher, and Amber; daughter Emily (Nathan Sadowski) of Oak Ridge Tennessee, grandchildren, Sierra (step-daughter), Thaddeus and Theodore. Also, survived by parents, Clarence and Doris Borg and sister Susan Poll. She was preceded by her grandson Thane Sadowski. Family will receive friends on Saturday, February 2, 2019 from 10:00 a.m. until 11:00 a.m. with a Memorial Service conducted by Rev. Dottie Yunger following at 11:00 a.m. at Rausch Funeral Home, 20 American Lane, Lusby, MD 20657.